Cele|bitchy | Angelina Jolie brings red lips, horn realness in a new ‘Maleficent’ poster: amazing? 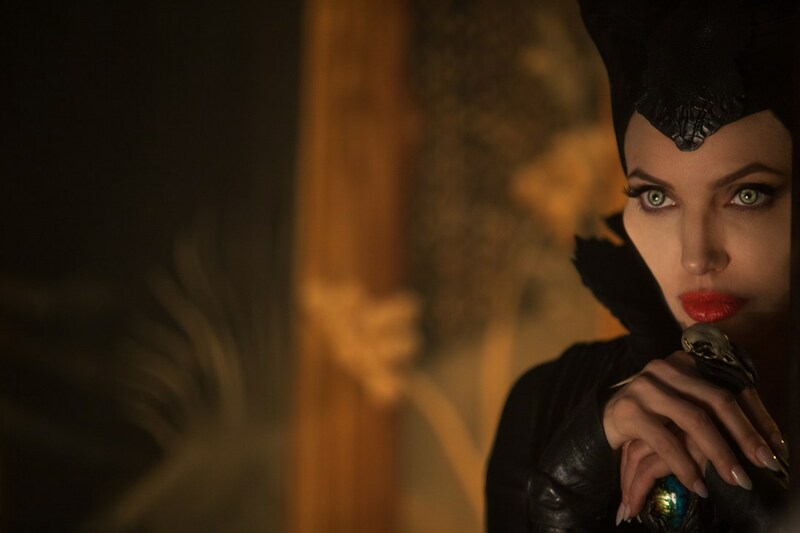 Angelina Jolie brings red lips, horn realness in a new ‘Maleficent’ poster: amazing? Not scary at all, just beautiful. I love the top poster and I want it. Nah, look again. They’re insanely pointy. Jolie has rad cheekbones, but not like this! She gives FACE better than anyone ever. Beaut. True that. Haters can say whatever they want about her body or personal life, but no one can deny her face is insanely gorgeous. She’s actually so beautiful I can’t believe she’s real! I completely agree with you! Her face is out of this world! Not a single bad angle. I came over just to say how gorgeous is this woman?!!! And people who’ve seen her in person say she’s even more stunningly beautiful that in pictures and on film. Incredible. Can’t wait! Love the horns!! This movie looks deliciously creepy. I don’t think I’ve ever been this excited for a Disney release! still not sold on the duct-tapy shine on the materials. but, that FACE!! that STARE! also, in this picture, she seems to have a different textured headdress? speaking of scales… in one of the trailers we see Maleficent conjuring up a dragon from the thorns… but do we know if she herself will be transforming into one? it’ll be so amazing! Are the horns a removeable head dress or do they supposed to be expanded from her head? 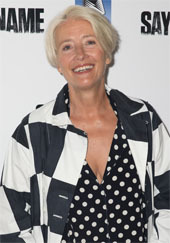 Now it makes sense that EW had her on the cover being that the release date is May, instead of June or July. I think the headpiece is meant to cover her horns whenever she doesn’t want the horns to be visible. So she covers her hair and horns with the headpiece. Breathtaking and beautiful. May 30th can’t come soon enough. She didn’t look like that on the red carpet AT ALL. Say and think what you like. Truth is she’s a stunningly gorgeous woman. You may have a personal grudge, but to think she isn’t beautiful is letting that grudge overtake your senses. There are many, many candid shts of her over the years not photoshopped or editted in any way taken by random people and fans. Even the photos touched up enough to try and make her look ugly are a sad attempt at such. And for the record i’m an Aniston fan too! The only thing about her face that’s photoshopped on that poster are the cheekbones (and those just might be really good prosthetics, and makeup), how white her skin is, and her eyes (color)…. That cast looks amazaballs. Sharlto Copley I will watch in anything. He is the sole reason I sat through The A Team. i look forward to Peter Capaldi, will he bend time? will he be sweary? (perhaps not too sweary since this is Disney). Rooting for this movie to slay some box office record! She looks awesome! But I can’t get impressed about the movie when everything besides Angie looks meh. I don’t get the hype. The Maleficent costume looks really cheap and cheesy. Angelina just looks like normal Angelina plus cheek prosthetics (which, by the way, I think look cheap and cheesy, too). I’m a fan of Angelina, so this isn’t hate. I just don’t get the Maleficent love at all. The movie looks absolutely awful. And also, I just don’t see anything scary about the way she’s doing Maleficent. she does seem more seductive than scary. Well I have my doubts as well as I do with a lot of movies but I will hold my judgement until I see the film. It might be one of the movies that doesn’t present well in previews but turns out to be amazing. Plus, they don’t want to reveal too much of the plot. I have never been one of those fairytale story loving children, I was a tomboy. I have a son who definetely wouldn’t want to watch anything like this but I’m a bit intrigued to see how Angie’s take on the character turns out. I will be in the theater as soon as this movie is released. Your comments will make a lot more sense once you actually see the film and know what you’re talking about. I’ve only seen 2 trailers – certainly not enough to determine major plot points and sequence or performance. Hold your horses until you see it hon…you’ll be able to pretend objectivity when you inevitably attack the film later. @CINNAMONBOO +1000000000000000 to your comment! Agree. I love love love Angelina and Sleeping Beauty, but the trailers haven’t grabbed me. These Disney fairytale remakes don’t really float my boat. To be honest, it looks like a great performance from Ange in a poor film. But heck, that’s just my opinion based on the trailer. If I’m wrong, that’s cool. I still love Ange either way, I think she’s the whole package. Gorgeous woman who can do no wrong in my eyes. I have a feeling she will rule the boxoffice with this one and since she is getting 10 percent of the profits plus $25m – she will be the highest earning actress ever. PS: she will difinitely turn into a dragon – they are keeping it a surprise as to how she will look. Same thing with Smaug – no one knew how he would look like until the actual movie. Love it! Love everything about it. I’ve officially turned the corner into Brangaloonie-Town. Here is your crazy straw for your Brangelina water bottle, your black, loose fitting outfit with oversized tote, your membership card to get you into the latest Brangienews meetings, and your tinfoil hat to keep Chelsea Handler from invading your thoughts with racial slurs and hateful comments on adopting. Should you see her outside the gates just ignore her while sipping the latest Brangelina wine. And feel free to decorate your tinfoil hat. I want my sack dress in blue…..
Would anyone here be excited for this movie if Angelina was not in it? Do you think that Angelina makes a bad film worth watching or do you think the fact that Angelina is doing this is a sign of quality? The film looks rather cheesy and unoriginal in my opinion, and if it succeeds at the box office there will be much more of these “form villains perspective” films that I have no interest in seeing. But if you think it really looks good there is nothing wrong with that! And it can be good and I am wrong. @Chinoiserie The film looks rather cheesy and unoriginal in my opinion, and if it succeeds at the box office there will be much more of these “form villains perspective” films that I have no interest in seeing. excuse me but you already don’t like such kind of movies and already hate what you saw so far. why u care what we think? Anyway for me i like fairy tales and i love sleeping beauty so much, Childhood Memories? I did not see swath because i don’t like Kristen Stewart or Chris Acting.. but i will go see this because i like maleficent and Angelina Julie also the trailer looks awesome. I was fascinated by maleficent costumes more than aurora when i was kid. She was so elegant and regal, its weird that most people remember maleficent in more details than aurora but maybe because it was rich personality and well scripted and executed. People remember Maleficent because she is BOSS. Eleanor Audley is amazing. She looks great but I’m not into this poster. If the lighting was a smidge cruder this could be some Terry Richardson tripe. I’m losing my enthusiasm for this film. I hope it’s good but I’m apprehensive. The trailers were too reminiscent of the Alice In Wonderland failure and from what Jolie herself has said they’ve taken the most badass and memorable Disney villain and made her sympathetic and soft. I really hope I’m wrong. I really do. Can’t wait to see this movie. Hopefully it comes out in May down here as well, it will be a lovely late birthday pressie for me hehe. Not scary at all but beautiful and artistic. Stunning! And for those who don’t think it’s very scary, well it is Disney so they won’t go too far, I wish this was Tim Burton directed though because it would be the perfect balance of scary, cool and funny! NO NO NO to Burton.. he is stuck in ONE looK and would have ruined it.